Tiny valleys near the top of Antarctica's ice sheet reach temperatures of nearly -100 degrees Celsius, according to a new study published this week in the AGU journal Geophysical Research Letters. The finding could change scientists' understanding of just how low temperatures can get at Earth's surface, and how it happens, according to the researchers. 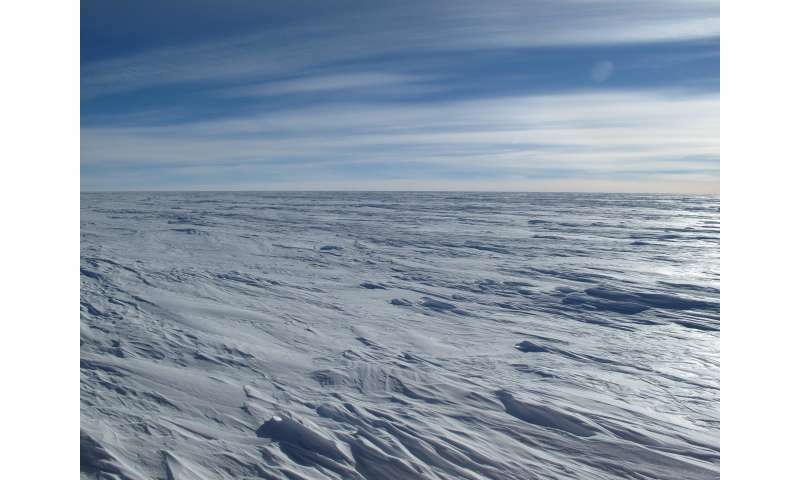 After sifting through data from several Earth-observing satellites, scientists announced in 2013 that they found surface temperatures of -93 degrees Celsius (-135 degrees Fahrenheit) in several spots on the East Antarctic Plateau, a high snowy plateau in central Antarctica that encompasses the South Pole. That preliminary study has been revised with new data showing that the coldest sites actually reach -98 degrees Celsius (-144 degrees Fahrenheit). The temperatures are observed during the southern polar night, mostly during July and August. When the researchers first announced they had found the coldest temperatures on Earth five years ago, they determined that persistent clear skies and light winds are required for temperatures to dip this low. But the new study adds a twist to the story: Not only are clear skies necessary, but the air must also be extremely dry, because water vapor blocks the loss of heat from the snow surface. The researchers observed the ultra-low temperatures in small dips or shallow hollows in the Antarctic Ice Sheet where cold, dense, descending air pools above the surface and can remain for several days. This allows the surface, and the air above it, to cool still further, until the clear, calm, and dry conditions break down and the air mixes with warmer air higher in the atmosphere. "In this area, we see periods of incredibly dry air, and this allows the heat from the snow surface to radiate into space more easily," said Ted Scambos, a senior research scientist at the National Snow and Ice Data Center at the University of Colorado Boulder and the study's lead author. The record of -98 degrees Celsius is about as cold as it is possible to get at Earth's surface, according to the researchers. For the temperature to drop that low, clear skies and dry air need to persist for several days. Temperatures could drop a little lower if the conditions lasted for several weeks, but that's extremely unlikely to happen, Scambos said. The high elevation of the East Antarctic Plateau and its proximity to the South Pole give it the coldest climate of any region on Earth. The lowest air temperature ever measured by a weather station, -89 degrees Celsius (-128 degrees Fahrenheit), was recorded there at Russia's Vostok Station in July 1983. But weather stations can't measure temperatures everywhere. So in 2013, Scambos and his colleagues decided to analyze data from several Earth-observing satellites to see if they could find temperatures on the plateau even lower than those recorded at Vostok. In the new study, they analyzed satellite data collected during the Southern Hemisphere's winter between 2004 and 2016. They used data from the MODIS instrument aboard NASA's Terra and Aqua satellites as well as data from instruments on NOAA's Polar Operational Environmental Satellites. 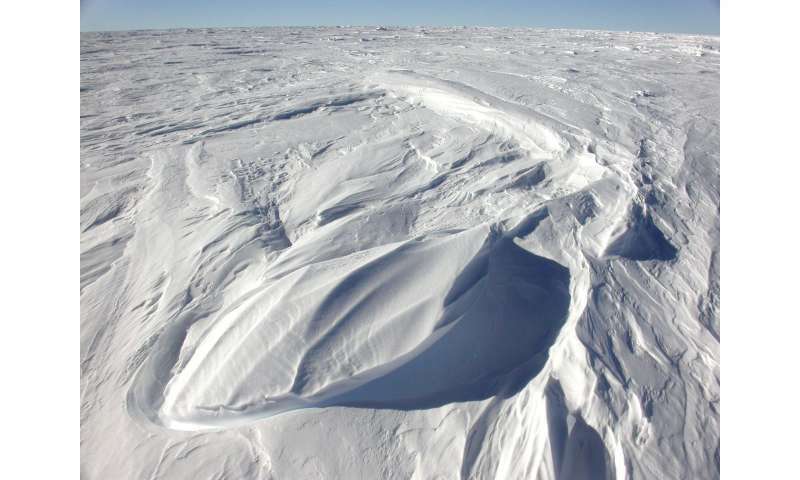 The researchers observed snow surface temperatures regularly dropping below -90 degrees Celsius (-130 degrees Fahrenheit) almost every winter in a broad region of the plateau, more than 3,500 meters (11,000 feet) above sea level. Within this broad region, they found dozens of sites had much colder temperatures. Nearly 100 locations reached surface temperatures of -98 degrees Celsius. The atmosphere in this region can sometimes have less than 0.2 mm total precipitable water above the surface. But even when it is that dry and cold, the air traps some of the heat and sends it back to the surface. This means that the cooling rates are very slow as the surface temperatures approach the record values. Conditions do not persist long enough—it could take weeks—for the temperatures to dip below the observed records. However, the temperature measured from satellites is the temperature of the snow surface, not the air above it. So the study also estimated the air temperatures by using nearby automatic weather stations and the satellite data. Interestingly, even though the coldest sites were spread out over hundreds of kilometers, the lowest temperatures were all nearly the same. That got them wondering: Is there a limit to how cold it can get on the plateau? Using the difference between the satellite measurements of the lowest surface snow temperatures at Vostok and three automated stations, and the air temperatures at the same place and time, the researchers inferred that the air temperatures at the very coldest sites (where no stations exist) are probably around -94 degrees Celsius, or about -137 degrees Fahrenheit. The research team has also developed a set of instruments designed to survive and operate at the very coldest places through the winter and measure both snow and air temperatures. 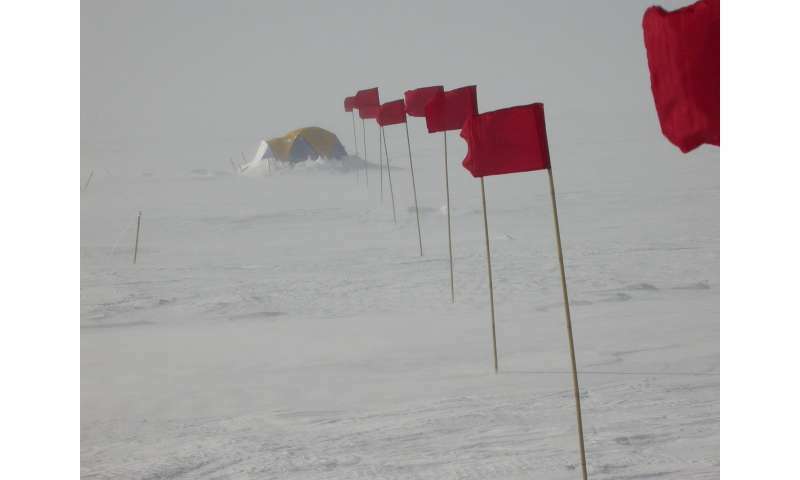 They are planning to deploy the instruments in the next year or two, during the Antarctic summer when the temperatures are a comparatively mild -30 degrees Celsius (-22 degrees Fahrenheit).